(Bloomberg Opinion) -- The liver disease nonalcoholic steatohepatitis, or NASH, is pegged as pharma's next big market. Drugmakers are in a race to develop medicines that could potentially treat millions of patients and generate as much $35 billion in theoretical sales. 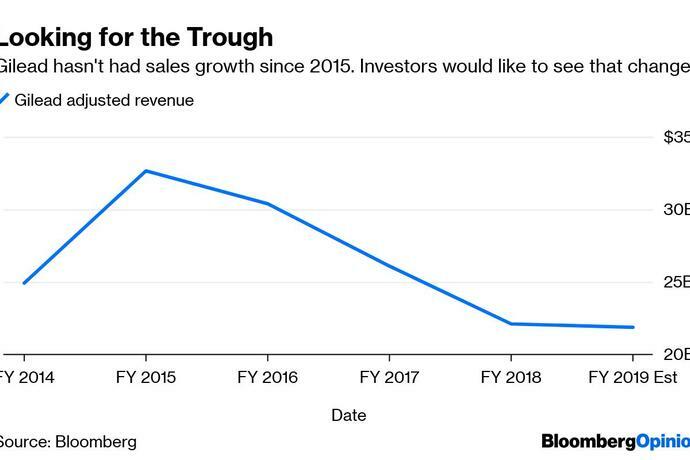 Few have been as aggressive in that pursuit as Gilead Sciences Inc., which has multiple drugs for the condition in its research pipeline. One, though, might soon be destined for the reject shelf. Biopharma firms often sift through failed trials for positive nuggets. Gilead may be stuck digging for a while. A high dose of the drug barely managed to improve liver scarring more than a placebo, and a low dose did worse. In short, the drug doesn't seem to do much, and a second large trial in different patients will also likely fail. Gilead is a liver expert. The firm made buckets of money with effective hepatitis C drugs. That hasn't helped it in NASH so far. It has other candidates that work in different ways, and selonsertib may work as part of a combination. But Gilead's choice to push this medicine forward was based on limited data, and this failure erodes confidence in the whole program. Former Roche Holding AG executive Daniel O'Day takes over as CEO in March and and should go over Gilead's NASH program with a fine-toothed comb. This isn't Gilead's only recent trial flub or delay in the past few years. 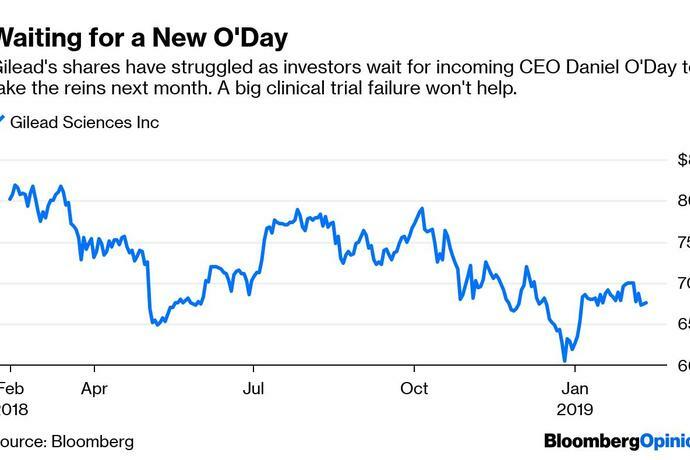 Its $12 billion acquisition of blood-cancer pioneer Kite Pharma Inc. has delivered sluggish sales of its lead drug and a big writedown after Gilead gave up on a pipeline project. Even the firm's stalwart HIV franchise is facing more competition. O'Day has plenty of cash to work with. But this latest failure adds to the pressure to do a deal and to the stakes for whatever he does. It's possible that Gilead just made a bad scientific bet and that another approach will succeed. Investors are certainly banking on that. Shares of NASH-focused biotech Viking Therapeutics Inc. jumped before market on Tuesday. And Wall Street seems extremely high on upcoming data from Intercept Pharmaceuticals Inc. But this trial failure emphasizes that the disease still isn't understood well. Some 12.8 percent of patients in Gilead's trial saw liver scarring improve while taking a placebo. That makes it rather tough to prove that a medicine is working.